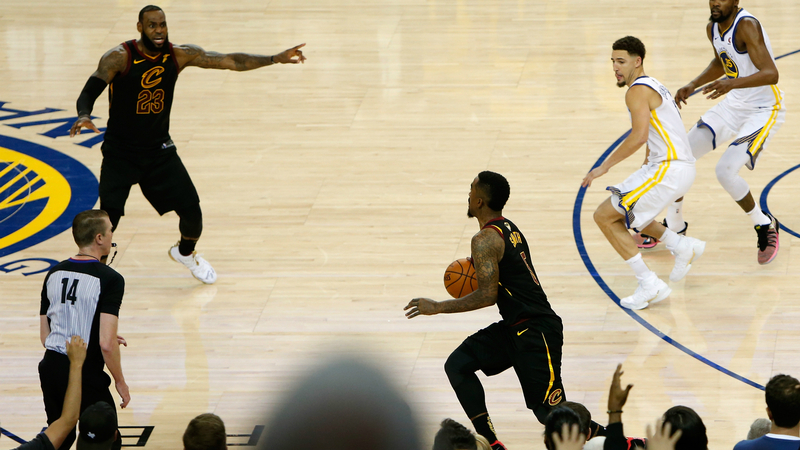 One of the most memorable moments from the 2018 NBA Finals was the Cavaliers blunder late in Game 1 when J.R. Smith held on to the ball instead of shooting or passing with just 4.7 seconds left on the clock and the game tied. The Warriors went on to take Game 1 and eventually swept the Cavs for their second straight championship. “It was tough, but it was the same after Game 2, 3 and 4. I didn’t take it no harder than those losses just because I made a mistake,” Smith said, via ESPN’s The Undefeated. “We all make mistakes. For my teammates to know that and have my back, (Game 1) wasn’t that bad. Talked to my coaches, everybody stood behind me 100 percent. The main thing was, OK, granted, you didn’t shoot the ball, but what if you ain’t get the rebound? Then what? We still would have been in the same situation. I could have shot and missed. Then what? Smith, a 14-year league veteran, brushed off the mistake. The 33-year-old is entering the third season of his four-year, $57 million contract with the Cavs. He averaged 8.3 points per game for Cleveland last season. Who is Millie Knight, what happened to the Paralympic skier in Pyeongchang a year ago and how many medals has she won at the Winter Video games?